I'm from the Philippines, and I plan on travelling to the UK with my sister to visit a relative. I have just submitted my visa application and have already paid online, when I noticed that I've made a clerical error. In the 'visit or stay' portion of section "Do you have any friends or relatives in the UK? ", I clicked the 'no' box, instead of 'yes'. My sister's application is correct. She selected 'yes'. Our appointment is due next month. I am planning to email them about this, and also inform them on the day of application submission. Is this the right path to take? You clicked the 'no' box about having friends or relatives in the UK, and now you are having 'post-submission anxiety' about it. This should not be a problem because they do not like to refuse applications over minor clerical errors or technical details. Remember... For things like checkboxes you can make pen and ink corrections on your way to the VFS. 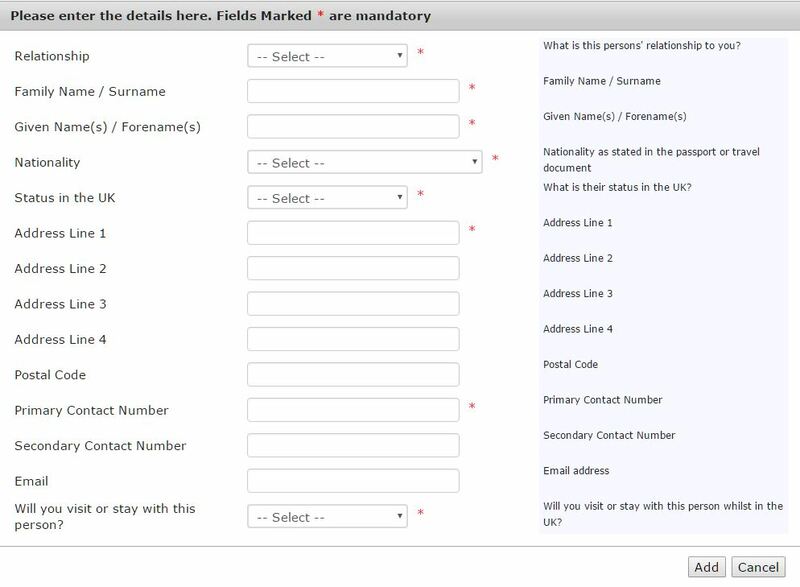 This section of the application has an area below the checkbox where you listed the names, nationalities, and so on of your friends/relatives in the UK. So when the ECO sees that section dutifully filled out, they will treat the 'no' checkbox as a clerical error and hopefully approve your application. I wouldn't worry about it, but it's fine to tell the VFS agent if you think it will help. Also remember that you can make pen & ink corrections to checkboxes before handing it over to the VFS. Not the answer you're looking for? Browse other questions tagged visas uk paperwork filipino-citizens or ask your own question. made an error in uk visa application, what to do? What should I do about wrong address in my UK visa application? Will I get refund on my application if I cancel now?